I was strolling in the park, and I saw a child with autism who was playing with his mother and brother. Out of nowhere, a speeding ambulance passed by with its siren on, and the child suddenly sat down rocking his body back and forth, mumbling something repeatedly like a chant, and he hit his head with his hand. His mother immediately ran to him and tried to calm him. It took a while, but she was able to appease him while his brother was trying to distract him, too, so he would stop his rocking and hitting. It’s not the first time I saw something like that, so I just sat there and observed. But other parents and children playing at the playground thought he was a retard and got afraid, but his mother tried to explain that he was a kid with autism, and is very sensitive to noises. He does not intend to hurt anyone. As a psychiatrist, I tried to do my part to help this family by talking to the people there and assuring them that it’s nothing alarming. For people (children or adults) with autism, the world is an overwhelmingly crazy raucous place. The loud noises, the lights, the busy streets, and crowded restaurants make them feel nervous, anxious and sometimes afraid. They have this sensory integration disorder where they tend to avoid stimuli or seek stimuli to circumvent other sensations that make them feel anxious. Their everyday lives are very much affected by these sensory issues. You will notice that people with autism have social, speech, nonverbal communication difficulties, learning differences, and repetitive behaviors. 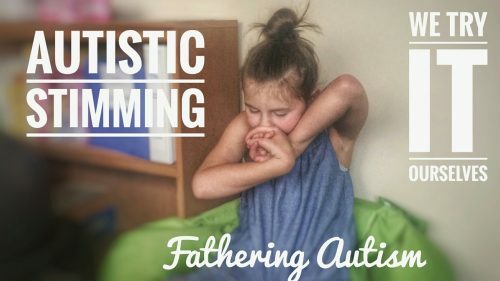 These body motions they repeatedly do, and the repetitive movement of objects are self-stimulatory behaviors or what they call in autism language as stimming. Nothing is definite why they do it, but researchers suggest that such repetitive movements arouse their nervous system to produce certain chemicals called endorphins which are responsible for increasing their pleasure sensations, just like how exercise helps reduce our stress or how sniffing certain aromas lift our moods. Tactile stimming is the use of the sense of touch or mannerisms of the hands. Visual stimming is the use of the sense of sight. Auditory stimming is the use of the sense of hearing and sound. Vestibular stimming is the sense of movement and balance. Olfactory/taste stimming is the use of the sense of smell and taste. 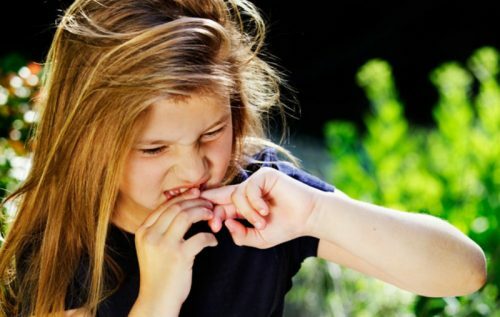 Although this may not apply to everyone, there is some form of stimming that can be dangerous and physically harmful like the banging of their head, hands, legs, and objects. Stimming may also interfere with their learning abilities and social interaction with others. It may cause them to be socially isolated and restricted from doing stuff they love to do.